As Christians, we want to cultivate our lives by following our Savior as the Church Fathers and the Saints did.  In FOS, we learn of the specific ways Christ transforms our lives through the teachings of His Orthodox Church. At FOS, we discuss many topics that form our everyday spiritual life, such as the twelve feast days of the Lord, the Beatitudes, current social issues (i.e., euthanasia, abortion, married life, parenting), in weekly gatherings, on Wednesday evenings. During FOS, we have also touched on Liturgical and Sacramental topics. Moreover, we explore topics of how to manage our thoughts to be Christ-like, how to deal with passions (i.e., ego, pride, greed, jealousy, criticism, gossip, flesh, hypocrisy, apathy) and how to expend on virtues (i.e., love, joy, respect, encouragement, forgiveness, charity, caring for the needy, the homebound, the sick and the suffering). We explore the ways we can have a Christ-centered life and progress toward attaining the goal of “likeness to Christ” or Theosis. Sometimes FOS joins with the youth groups to invite Guest Speakers who offer their professional knowledge on specific topics. The mission and goal of the class is to learn and implement the Word of God in our lives. The ever powerful, contemporary and life changing messages of each book of the Bible are the foundation for a life of piety for generations of Christians. Love for Christ and obedience to His Word are critical in order to spiritually attain and fulfill the objective of forming and shaping our lives in Christ the Savior.The mission and goal of the class is to learn and implement the Word of God in our lives. The ever powerful, contemporary and life changing messages of each book of the Bible are the foundation for a life of piety for generations of Christians. Love for Christ and obedience to His Word are critical in order to spiritually attain and fulfill the objective of forming and shaping our lives in Christ the Savior. Place: Cathedral Library, located at Hellenic Center next to the Cathedral. For the next Adult Bible Class, please visit the events calendar. We welcome all of you to join us every Monday from 6:00pm until 7:00pm at our Cathedral’s Hosanna Bookstore and be part of our BOOK CLUB Ministry. Ages 16 and over are welcome and you may come as you are. The Bookstore will provide a very relaxing and comfortable environment. If you wish to join our BOOK CLUB please email Fr. Vasileios at FrVasileios@htgo.org. This revised edition of Father Alexander Schmemann’s Lenten classic examines the meaning of Liturgy of the Presanctified Gifts, the Prayer of St Ephraim the Syrian, the Canon of St Andrew of Crete and other neglected or misunderstood treasures of Lenten worship. Fr. 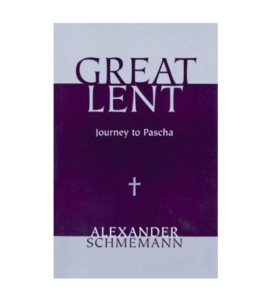 Schmemann draws on the Church’s sacramental and liturgical tradition to suggest the meaning of Lent in our life. The Lenten season is meant to kindle a ‘bright sadness’ within our hearts. Its aim is precisely the remembrance of Christ, a longing for a relationship with God that has been lost. Lent offers the time and place for recovery of this relationship. The darkness of Lent allows the flame of the Holy Spirit to burn within our hearts until we are led to the brilliance of the Resurrection. Store Hours: Sundays after Liturgy(s) until 1:00pm.